We are the sector’s leading company in Argentina as we have a professional staff highly qualified for the transportation of passengers in a high-complexity medical situation. 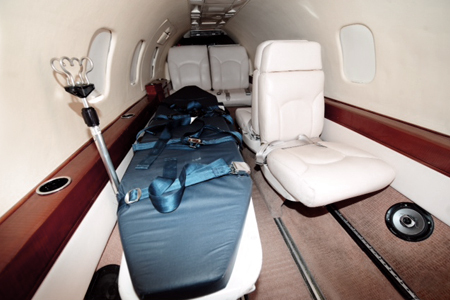 When we talk about transporting a patient on an air ambulance, every detail turns to be extremely important, as it is also essential to take all the precautions. BAIRES FLY takes care of every detail, reducing all the possible risks. We have an operational center that works at a national and international scale all of the 365 days of the year, where a trained flight coordinator will be available to assist you and give you all the information that you may need. The service also includes ground transportation as ambulance and intensive care mobile units as well. Our dedication and experience (having more than 600 sanitary flights per year) turns us in what we are: the sector’s leading company in Argentina. Intensive care and Emergency registered nurses. Paramedics with life advanced support certification. Doctors enabled by the Argentinian Air Force. Stretcher approved by the F.A.A. Our medical staff has an Aeronautic Physiology Certificate that guarantees the quality of the service we offer to the patient. Before the flight, our coordinator puts in contact the aeronautic doctor with the professionals in charge of the patient in order to analyze the situation and get a complete medical report to guarantee the presence of the proficient staff in the unit. 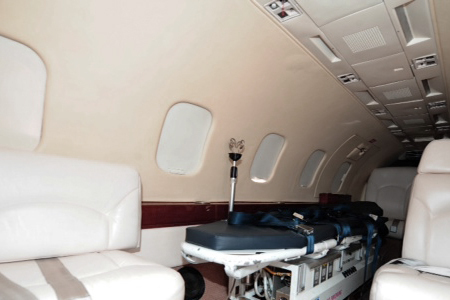 We have the latest technology in sanitary transportation equipment and advanced life support medical staff (A.L.S. ).